TECHNOLOGY is reshaping businesses, jobs and lifestyles around the world. It is only a matter of time before most, if not all, companies will embrace digital transformation (DX). DX is set to boost the productivity and efficiency levels of employees, deliver better customer experiences and support new products and revenue among Malaysian enterprises and consumers according to findings from a survey commissioned by digital communications provider Avaya and conducted by analyst firm IDC. Much of Avaya’s business revolves around managing real-time communications software, services and devices for businesses of all sizes. It provides solutions for contact centres and unified communications through smart devices for desktops and via cloud services. The survey gathered responses from 1,500 respondents comprising enterprises and consumers across 15 countries. Among the highlights were that at least 28% of enterprises will have a DX wide platform strategy by 2020. It also found that Malaysian enterprises’ expenditure on cloud services will reach US$621 million by 2021. One of the more interesting findings of the survey was the revelation that half of the enterprises everywhere will use AI services by 2021. 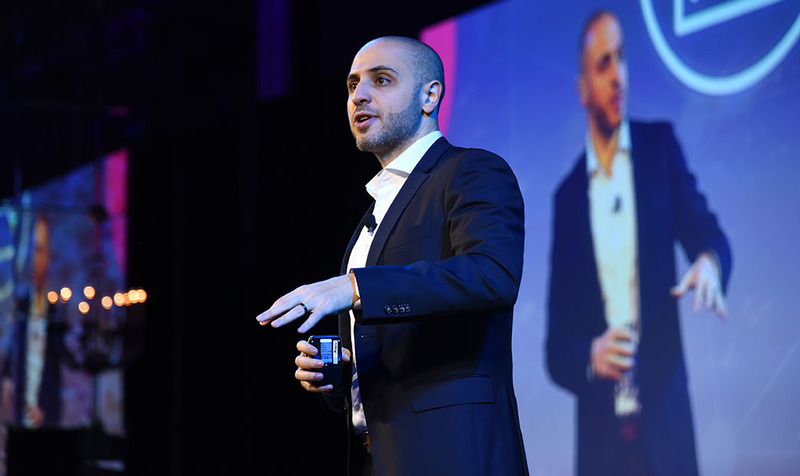 In an e-mail interview with Digital News Asia, Avaya’s managing director of Asean, Sami Ammous (pic, above) said that companies can serve their customers better by breaking down internal barriers to allow for inter-department communications or by applying Artificial Intelligence (AI) to find answers more quickly. Ammous believes that a strong communications core for employees would provide a solid foundation for digital transformation. “DX allows for greater control over businesses by providing better visibility into communication details and enables better productivity and collaboration among mobile and remote workers,” he said. Though there has been a high level of technology adoption among enterprises in Malaysia and around the region, there remains a lack of knowledge and capabilities to keep up with cost pressures. “The human touch still matters in the digital world. As consumers look for human assistance in services such as paying bills, filing complaints, returning products, advanced technologies such as virtual support assistants, voice biometrics and virtual reality are required,” he said. Among the big disruptive technologies that Avaya expects to change the way that we do business today are AI, blockchain and big data analytics. In Avaya’s world of customer service and collaboration applications, AI has the potential to improve the value of human interaction. Chatbots could take away repetitive and manual tasks from agents like having to answer queries on opening times or departure times for a flight. AI can also be used to assist agents in real-time by providing additional information from a knowledge base. Meanwhile, Avaya views the distributed ledger technology of blockchain as something highly useful in communications and customer service. It cited how banks in certain countries use blockchain to establish a fintech-friendly payment network. Avaya has also dabbled in blockchain in areas related to government services by using blockchain to link customer interactions through different government entities to “measure citizen happiness” and authenticate identities. Finally, Avaya is embracing big data analytics to simplify the process of accessing data to be used by analysts. “We are opening up our tools by using APIs and SDKs. There are now more big data friendly tools that allow customers to run analytics for Avaya and non-Avaya data. We are also making it easier for agents to visually consume and understand customer journeys,” said Ammous.